Marie Delorme (MBA’00), David Sharpe (Law’95) and John Stackhouse (Com’85) appointed to three-year terms. The Queen’s Board of Trustees has appointed three new members who will bring their individual expertise and experiences to the governance of the university. Marie Delorme (MBA’00), David Sharpe (Law’95) and John Stackhouse (Com’85) were appointed by the current Board of Trustees to three-year terms that began on June 1. In line with the university’s overall effort to support diversity and inclusion, the Board of Trustees has actively sought to set the “tone from the top” by increasing the diversity of its membership in recent years. Dr. Delorme is a Métis originally from Manitoba. Mr. Sharpe is Mohawk and a member of the Mohawks of the Bay of Quinte. Marie Delorme is CEO of The Imagination Group of Companies. She chairs the Chiniki Trico Board, is past chair of the RCMP Foundation Board, and serves on the River Cree Enterprises Board, the National Indigenous Economic Development Board, and The Canadian Centre to End Human Trafficking. 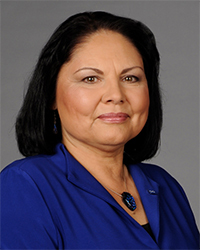 Dr. Delorme is a Member of the Order of Canada, has received the Indspire Award in Business and Commerce, and was named as one of Canada’s 100 Most Powerful Women. She holds a Bachelor of Science degree, an MBA from Queen’s, and both a PhD and an Honorary Doctor of Laws from the University of Calgary. 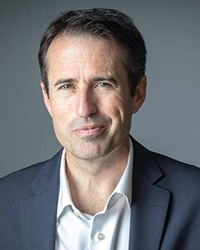 David Sharpe is the Chief Executive Officer of Bridging Finance Inc., one of Canada’s largest private debt firms. Mr. Sharpe has a particular focus on economic development for First Nations and Inuit communities. He is Chair Emeritus of First Nations University of Canada and is also a board member of the Economic Development Corporation for Eabametoong (Fort Hope) First Nation and the vice-chair of the Dean’s Council for the Queen’s Faculty of Law. Mr. Sharpe is a lawyer and a member of the Law Society of Upper Canada since 1997. He has an LLB from Queen’s, an LLM in Securities Law from Osgoode Hall Law School and a Masters of Business Administration from the Richard Ivey School of Business, University of Western Ontario. 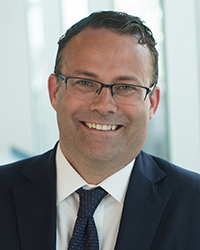 John Stackhouse is Senior Vice-President, Office of the CEO at RBC, and is responsible for interpreting trends for the executive leadership team and Board of Directors with insights on how these are affecting RBC, its clients, and society at large. Prior to this, Mr. Stackhouse was editor-in-chief of The Globe and Mail (2009-14), editor of Report on Business, and from 1992-1999, a foreign correspondent based in New Delhi, India. He has authored three books: Out of Poverty; Timbit Nation; and Mass Disruption: Thirty Years on the Front Lines of a Media Revolution. He is a Senior Fellow at the Munk School of Global Affairs, C.D. ‎Howe Institute and on the boards of Saint Elizabeth Health Care and the Aga Khan Foundation of Canada. Meeting four times a year the Board of Trustees is responsible for the governance of Queen’s as it relates to financial matters, property, risk, and external relations, among other items. The board is made up of 25 members – three ex-officio, 10 external, six from University Council, and two faculty, staff, and students. To learn more about the Board of Trustees, visit the Queen’s University Secretariat and Legal Counsel webpage.